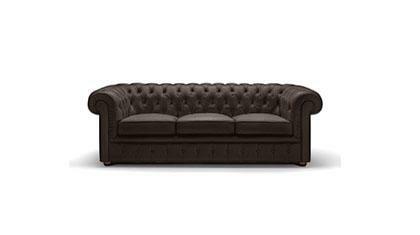 The Dormeuse Chesterfield Olympia is available in standard dimensions or can be custom made according to your needs. Shop on-line or in one of our showrooms, our furniture consultants are ready to assist you. Solid wood frame, wood feet, steel spring suspension seat, without cushions, with capitonnè work, non-removable leather cover. Authentic capitonnè work following the traditional method, exclusively by hand. Also available with non-removable fabric cover. A team of professionals makes the Dormeuse Chesterfield Olympia.